After unseasonably warm-weather delays, the Arizona Snowbowl officially opened for the ski season Tuesday, Nov. 21. The announcement details that one lift will open, the Agassiz, from 9 a.m. to 4 p.m., for daily use. In addition, intermediate trails Midway Catwalk, Logjam, Wild Turkey, and Round Up will be ready. Currently there are no beginner areas available. 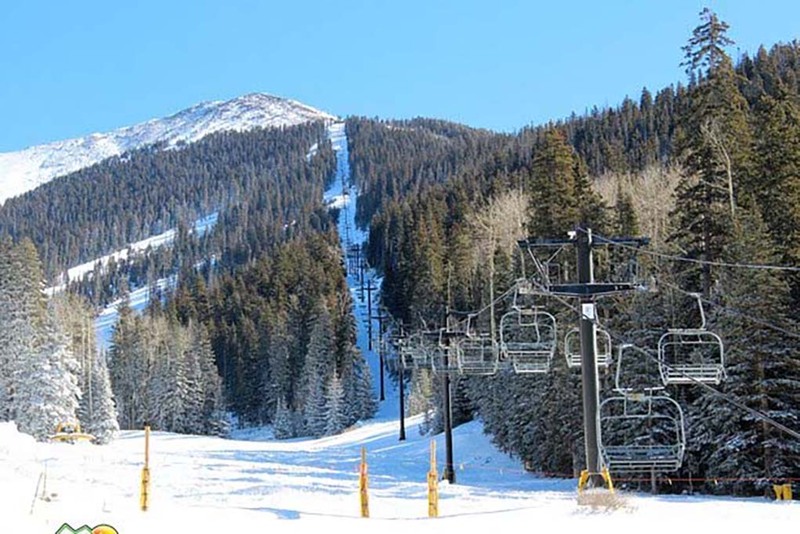 The Flagstaff-area site made the announcement early Fall that they would celebrate the 80th-anniversary with the start of ski season on Nov. 10. The site’s snowmaking capabilities can cover 65 percent of the place. However, by early November the warm temperatures forced the bowl to push their open date. Last year, Snowbowl visitors enjoyed the earliest opening in nearly 40 years on Nov. 19 and latest closing. The season lasted into early May after the biggest total snowfall with over 27 feet.